One of my fondest memories of grammar school is playing Patrick Henry. Our third grade teacher came up with a brilliant plan to have us act out scenes from American history. I stood on a table and gave the famous, “Give me liberty or give me death!” speech. Today I can recite the speech on a dime, given that there is a table suitable to stand on. Taking part in this experiment did not foster my love of history (this would not come until college) but it did help me retain my knowledge of American history that I would later use in high school. See, we were learning and having fun at the same time. This is one of the best ways to teach children; let them have fun. This is why so many kids have warm memories of early science and art classes. Paper Mache volcanoes anyone? It’s a wonder educators do not employ this type of learning more often. While I was a teacher’s aid at Horicon Elementary school in Northern California, it was my job to introduce 7 year olds to money. The first time I handed out play money to students I stood back and watched as they started coming up with ideas on how they would spend it. It was an ah ha moment for me. I quickly came up with a plan on how to explain what money is worth. $100 for a car? Not hardly. I showed them how much a car would cost and roughly how long it would take their parents to earn enough for a car and toys. Some of the children grasped the idea that money is hard earned and does not go as far as they assumed. Playing with money was one way to help some of my students gain a better understanding of math. Numbers are abstract for young children and often don’t mean much but tactile engagement bridges the gap between what numbers stand for how we use them. Can we use this same type of hands on learning in order to introduce young students to the classics? Can we get 6 year olds interested in Shakespeare? The answer is yes! I’d like to turn your attention to Brendan Kelso and his talented team from Playing with Plays. This small group is awe-inspiring! 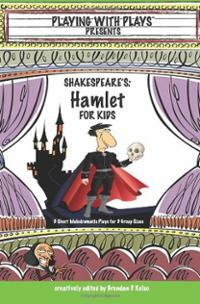 The concept is deceptively easy; re-write Shakespeare for kids. Yet how many of us could actually do this and do it well? Brendan and his team have. Oh, how they’ve done it! This first line of Hamlet had me hooked! I laughed out loud and easily pictured a 6 year old doing this. Hell, I could picture an adult doing this. I found myself giggling (yes giggling) through out the play. Brendan came up with the idea of re-writing Shakespeare after his wife signed him up to teach Shakespeare to kids at a local rec center. Brendan had no idea how to do this until he came across a play titled “Hamlet in a can”. 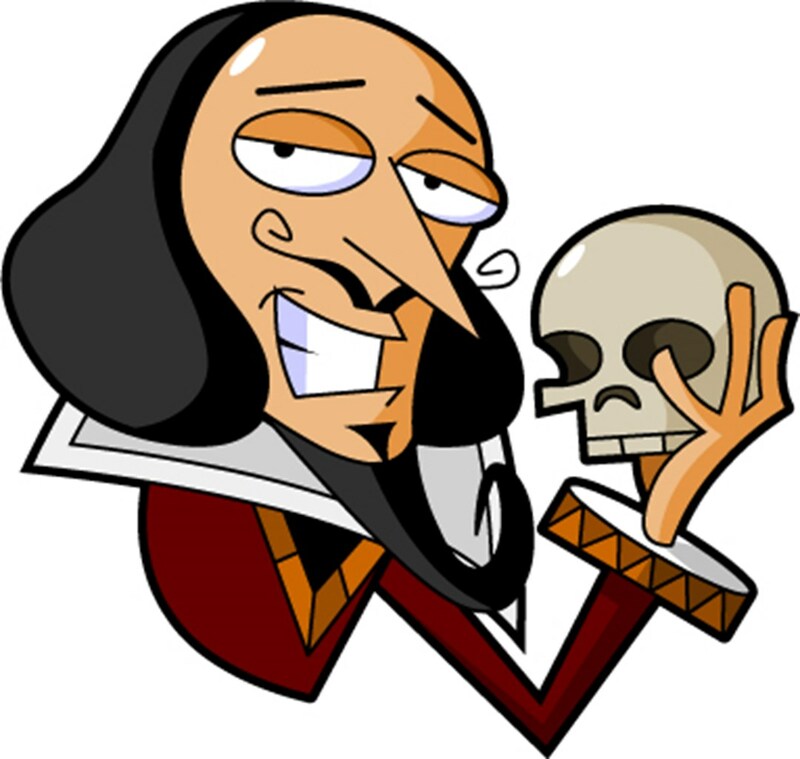 It is a 6-week course in which young students are introduced to Hamlet lite. Brendan said the kids loved it and the rec center asked if he would do another. Brendan wrote a version of A Midsummer’s Night Dream. Meanwhile other rec centers asked Brendan to teach their students. Soon Brendan had requests coming from all over. This is how the book series was born. Right now there are 11 books in the series, each containing three plays broken down by appropriate age: 6-7, 8-14 and 14-20. I’ve read three so far: Hamlet, Julius Caesar and Twelfth Night. Each play contains modern language (naturally) and lines from Shakespeare. 6 year olds quoting Shakespeare, what could be better! Each play takes less than a half hour to preform as they are written to introduce the basic plot of the play to students. As the age group progresses the plot becomes more detailed. I cannot stress this enough; these plays are masterfully done given what Brendan has to accomplish. I had my 22 year old read Hamlet and even he laughed and said, “Okay, I admit, this would have gotten my attention”. This from the nerdy kid who said, “Meh”, when I gave him William Shakespeare’s Star Wars”. Antony (addressing the audience) “Friends, Romans, countrymen, lend me your ears; I come to bury Caesar, not to praise him, but truth be told, Brutus is full of baloney, Caesar wasn’t a bad guy”. If you are a teacher, an after school program director or a parent with a lot of time on your hands, you need to pick up these books. How inspiring is this series? If I didn’t have to work for a living, I’d be out in my community begging educators to let me have a go with their students. Brandon does not charge a lot to use his material (see his web site for details) and is consistently coming up with entertaining ideas on how to get kids hooked on Shakespeare. I have to admit it, I’ve spent a lot of time on the website and would be remiss if I did not mention the fun graphics. Thanks to Playing with Plays, there is no excuse for not getting kids interested in the classics. Just watch Brendan as he introduces Hamet to young children. This has got to be the coolest job on the planet. Well done sir, well done! Hey, thx Godtisx!!! Do you work with kids?!?! Hey!!! No — not anymore. 😦 😦 I used to though. And did off and on all through out college! Well, the write up is about me and my books, so, yes, it’s an AWESOME post!!! Poor Brendon’s re-blog is not showing up.I need one of my awesome followers to re-blog this post to see if the problem is on my site or his. The person who does this, will get a re-blog in return and deep appreciation. Worked for calmgrove (though I’ve since deleted the reblog). Wonder what the problem is? Thank you for checking! I’m pretty sure it’s my settings! I’ll figure it out soon! Thanks Chris. I owe you one! An inspirational drama teacher that I knew extracted all the rude mechanicals’ scenes from A Midsummer Night’s Dream and got his 15- and 16-year-old students to perform them to audiences of primary school children. All concerned — players and audience members alike — totally ‘got’ what it was about, with the knockabout humour of Pyramus and Thisbe coming through loud and clear. Shakespeare-lite indeed, but all in the Bard’s own words! That is such a great story Chris. How fun for the kids involved! Often thought that Rude Mechanicals would be a great name for a theatre company — must google it and see if someone else has had the same idea!